Putnam Athletic League has always strived to instill teamwork, sportsmanshp and most of all acceptable academic ahcievement into our participants, couches and volunteers. This concept cultivates more than an athlete, it nurtures future leaders. On this page we will proudly display our honors for our staff, coaches, and athletes. Congratualtions to the past atheletes and leaders whose names are displayed here, and we look forward to watching this page grow. Allen Pope, Lake City Tigers Mitey-Mite Coach. Bill Lang, Santa Fe Raiders, Pee Wee Coach & President. 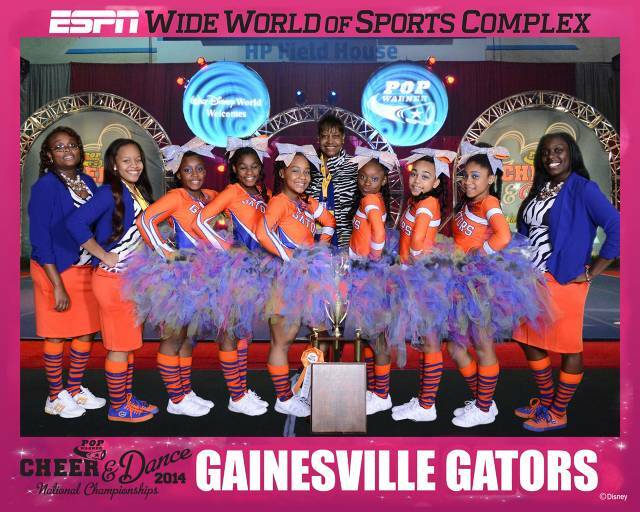 1st Place Midget Level 1 Small- Nationals - Gainesville Gators. Congratulations to our Regional Cheer Winners.